Satya Nadella to replace Steve Ballmer as Microsoft CEO | What Hi-Fi? US tech giant to shift away from traditional hardware after promoting the Executive VP of its Cloud and Enterprise division? 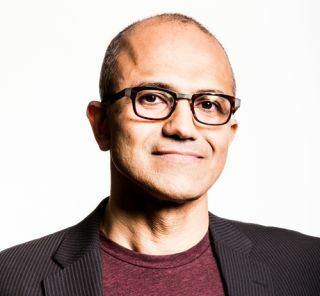 India-born Satya Nadella has become only the third chief executive officer in the history of Microsoft after the American tech giant confirmed that he would replace Steve Ballmer with immediate effect. The appointment represents a promotion for Microsoft veteran Nadella, who joined the corporation in 1992 and most recently held the role of Executive Vice President in its Cloud and Enterprise group. During his time with Microsoft, Nadella has been credited with leading major strategy and technical shifts across the corporation's products – most notably its move to the cloud. Microsoft now has one of the largest cloud infrastructures in the world, which supports services such as Bing and Xbox among others – and the appointment could indicate a further shift into the cloud. Nadella said: "The opportunity ahead for Microsoft is vast, but to seize it, we must focus clearly, move faster and continue to transform. A big part of my job is to accelerate our ability to bring innovative products to our customers more quickly." Steve Ballmer, who announced in August he would be retiring from the role added: "I know that Satya is the right leader at the right time for Microsoft." In addition to appointing Nadella as its new CEO, Microsoft has also revealed that Bill Gates will take up a new position as Founder and Technology Advisor on the board of directors. Microsoft recently reported revenues of $24.52bn for the three months ending 31st December, with a total of 7.4 million Xbox consoles sold during that time – 3.9 million of which were Xbox Ones. The corporation also announced in September last year that it had agreed to acquire Nokia's Devices and Services department, taking Microsoft into the smartphone market at a time Google is leaving.